Also an extra note, the only place I see the Affinity Designer icon, is if I go on to the files app from iOS device with Affinity installed. Any other iOS device, it will be the Photos icon, buy says "Affinity Designer"
I see the same thing on my 2018 iPad non-pro model in Manage Storage. At Settings > Apple ID > iCloud I do not have an "iTunes & App Store" item. There is a separate "iTunes & App Store" item in Settings, & a "Payment & Shipping" item at Settings > Apple ID, but neither of these show the amount of iCloud storage I am using. As I said, I do have a separate "Manage Storage" item at Settings > Apple ID > iCloud (the second item from the top, just below the bar graph) & this is where I see the two folders both badged with the Photo logo but one really for Designer, just like in your second screenshot. EDIT: what version of iOS are you using? That is the same one I am using, so I do not understand why you have a Settings > AppleID > iCloud > iTunes & App Store item & I do not. Are you sure that is how you got to the iTunes & App Store item? Yes, that is what I see as well. But I do not see an "iTunes & App Store" item on that, the "iCloud" screen, which is what I thought you were saying you saw at AppleID > iCloud. Tapping the circled "Manage Storage" item on that screen is where I see the "iCloud Storage" screen & the two folders with Photo badges. If that is what you see on that screen then we are seeing the same thing. Where we apparently are not seeing the same thing is in the web browser interface, like in your screenshot in this earlier post. What I see is the second screenshot in my earlier post here. apart from the iCloud Settings confusion apart, you mentioned in your last post, that you see 2 Affinity Photo badges, this is obviously a bug I am describing, as you shouldn't see two, isn't one suppose to for Affinity Designer, so you can tell the 2 apart? Yes, it seems to be a bug, but because it occurs in the Apple-supplied Settings app, I am not sure if the bug is in Affinity Designer for iPad, in that app, or in how the two apps interact. Maybe the fact that both apps are capable (on the desktop versions) of opening files with either the .afphoto or .afdesign file extensions has something to do with it, but that is just a guess. That is why I wondered why we see different iCloud Settings results. Their iCloud use is not identical -- in the Files app > iCloud Drive screen you should see that there are separate, correctly badged folders for each app. The apps do share more than common functionality: each app can (on the desktop versions) directly open files that have the other app's filetype extension & save back to that same filetype extension. I am not ignoring that or anything else about this. 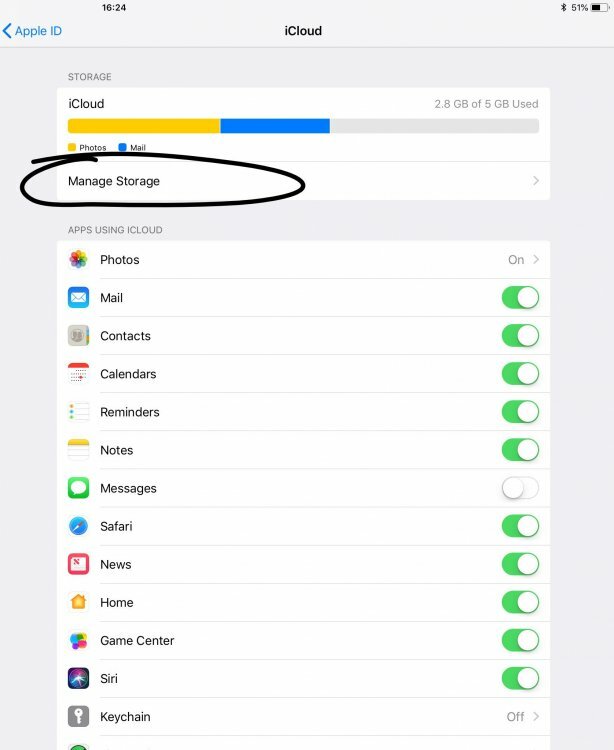 I am just saying it is odd that only in Settings > Apple ID > iCloud > Manage Storage do I see this.You have said several times that the path in the Setting app for you is through "AppleID, iCloud, iTunes & App Store" but only the above path shows that for me. I would really like clarification on that, since it suggests our Settings apps are working differently. What way specifically would like for me to do that? To repeat, the only place I see the two Photo badged folders is through the path I mentioned above, now in red text so there are no misunderstandings about that. Yes, absolutely, this needs to be addressed, but what I have been saying is it is not completely clear in which app this bug exists (Settings or either or both Affinity apps), or if it is an interaction bug among some or all of them. 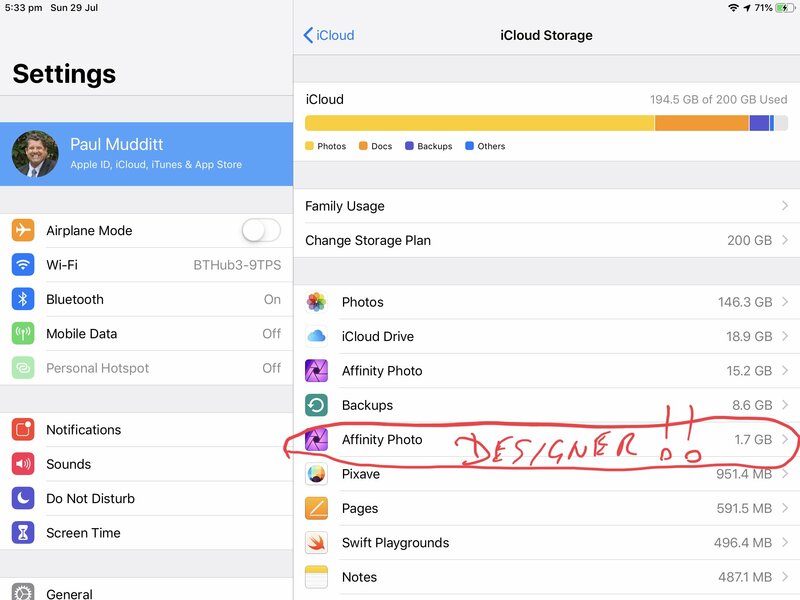 First, back up any documents you have stored in both App's iCloud folder so ensure no work is lost! I would go into each of the two listed 'Affinity Photos' and check what files are listed and ensure you have them all backed up somewhere away from iCloud for the time being. 1. Go into Settings > iCloud > Manage Storage and go into each of the listed apps and select 'Delete Documents & Data' and proceed with the delete. If you go out and then back into the Manage Storage the folders should have disappeared. 2. Go back to the iCloud folder and turn off 'iCloud Drive' and then turn it back on. 3. Go into Designer > Preferences > General and change 'Default Save Location' to iCloud Drive. 5. Return to Settings > iCloud > Manage Storage and check the folder in there. With any luck the correct name and badge should be listed. If you can repeat Step 4 and 5 using Photo hopefully that will create the correct folder and badge. If that does work I would copy your files back into the relevant iCloud folders. Unfortunately Apple's integration of iCloud leaves a lot to be desired! I tried upload a file to iCloud using my Mac which then just wouldn't update on the iPad iCloud, I had to disable and re-enable iCloud on my Mac to get the whole folder to refresh, at which point a lot of other iPad Application Folders appeared on my Mac! Unfortunately Apple's integration of iCloud leaves a lot to be desired! I tried upload a file to iCloud using my Mac which then just wouldn't update on the iPad iCloud, I had to disable and re-enable iCloud on my Mac to get the whole folder to refresh, at which point a lot of other iPad Application Folders appeared on my Mac! 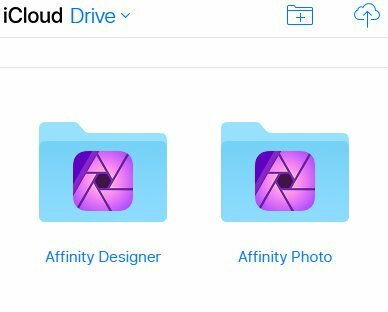 I had an issue with Finder > iCloud Drive on my Mac not showing the Affinity Designer folder at all, even though the properly badged Affinity Photo folder & its contents showed up just fine. With MEB's help that was traced to my disabling Affinity Designer.app in System Preferences > iCloud > iCloud Drive > Options on my Mac. Toggling that relatively obscure option back on immediately fixed that issue, so maybe toggling something in those options off & back on would help to get the folder to refresh? There are a surprising number of apps listed there, about 20 for me, including several that have no counterpart that can run on iOS, so it might be less disruptive to try that first. I have another iCloud refresh issue that might be related, but unfortunately I don't remember the steps that triggered it, so there isn't much I can say about it other than it might be related to changing the name of an Affinity Designer document on the iPad app's Home screen & then re-saving it to the iCloud Drive AD folder. Maybe because I had changed the document's name in Finder > iCloud Drive > Affinity Designer on my Mac after I had saved it to that folder from the iPad, in Files on the iPad 'waiting for update' or something like that below the file's name & it never did update. I eventually had to delete it in Files, which did not affect the renamed version showing in Finder > iCloud Drive at all. Weird. Hello Sean P, I have managed to do exactly what you said regarding "resetting icloud"
The only thing remaining was when I go back to the iCloud Storage tab, as detailed below, when both the badges reappeared they still show both as Affinity Photo, its just viewing the iCloud Storage folder this way, makes it very confusing, as apart from looking at the contained files, it is very difficult to tell which is which! I reported this ages ago in these forums but seems only me and you have this same problem, 2 photo folders except one of them is actually the designer folder. I gave up chasing this one as it doesn’t seem to be detrimental to either app. No, it isn't just you two -- I see the same thing in Settings > Apple ID > iCloud > Manage Storage. 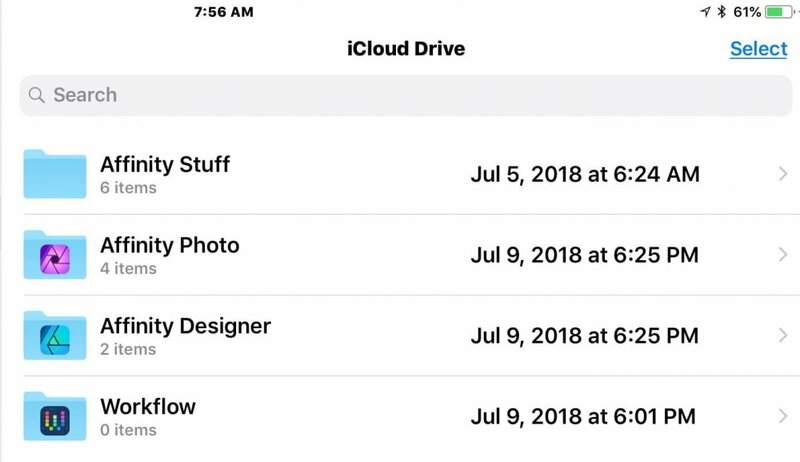 I just wonder if this is something Serif can do anything about, or if it is an issue with how the Settings app gets this info from Apple's iCloud servers. This is done 'on-the-fly' each time the manage storage display is called up -- if you turn on airplane mode nothing happens when you tap Manage Storage because the app has to 'phone home' to Apple to get that info. Anyway, as you say, it does not affect either app ... unless maybe the "Delete Documents & Data" button does that for the wrong app, but I am not currently willing to test that! I’m having this problem, too, which is the reason I found this thread. Except now I tried deleting the AD app on my Mac n an attempt to assist with a potential iCloud problem. But the App Store doesn’t seem to realize I already purchased it and now wants to charge me $49.99 again. I’ve written to Affinity's support so I can hopefully at least reinstall AD without buying it once more.